Is Your Firm on the Fastest Route to a Profitable Services Business? Companies are responding to the present highly competitive business environment by looking for ways to differentiate and grow through robust service offerings. Adding them is a complex process, however, fraught with roadblocks and potholes. 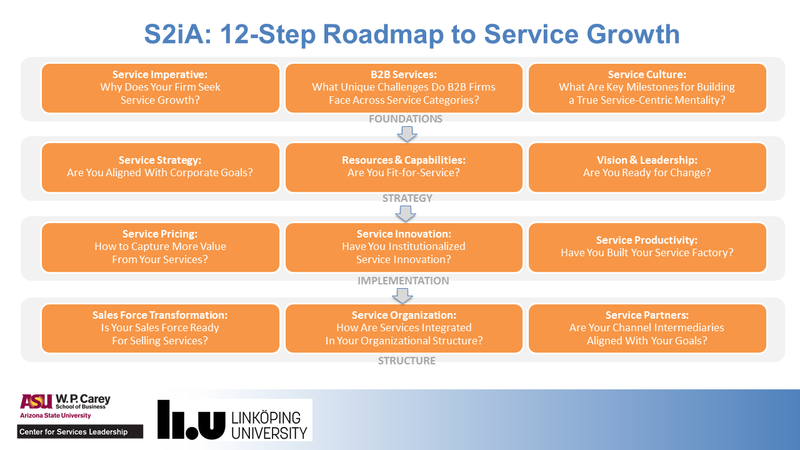 Professors Wolfgang Ulaga and Christian Kowalkowski have charted a twelve-step roadmap to service expansion in their new book, Service Strategy in Action (S2iA). We asked them what they’ve learned about the process from their research and their experience working with hundreds of managers in industrial and professional service companies. You’ve been working with firms making the journey from product-focus to a model that includes service for more than a decade. What did you discover about the challenges these firms face along the way? So, expanding into service requires more than cosmetic changes. How should managers and executives approach the problem? Venturing into the service space will inevitably affect the very foundations of a company’s strategy, requiring a fresh perspective on existing and new service business models. It’s a complex process that reaches into every facet of the firm. We distilled what we learned into a 12-step roadmap. Our new book, Service Strategy in Action (S2iA), provides clear directions for crafting a competitive service strategy and putting it into practice. We recognize that all companies have different starting points and goals for their service businesses, so we tailored the road map to make it possible for managers to focus on the most pressing issues. Can you give us an example of a company that used your navigation? Over the years, we worked with multiple firms on different challenges they face when growing service revenues and profits. Some firms found it hard to define service offerings customers really wanted while others wrestled with creating a true service-centric culture. Certain companies needed to transform their sales organizations from a product-centric to a service-savvy sales force. The experience of working with firms is one of the main strengths of our book: our roadmap is not only grounded in solid research findings. It also captures many years of working with firms on hands-on projects. Many firms profited from our hands-on approach. For example, in one project with a forklift manufacturer, we worked on transforming short-term opportunities in revenues and profits. Together with the company, we reviewed more than 80 “‘low-hanging fruits.” During the project, we identified 22 service activities that the firm had been providing free of charge, but that offered notable opportunities for revenue generation. Over a period of several months, the company moved 14 of these activities along the journey from free to fee. For example, the manufacturer started invoicing for on-site equipment diagnostics, an activity previously provided free of charge by service technicians during customer visits. The diagnostic fees for each customer were relatively small, so customers were widely willing to pay. In one test market, 80 percent of customers accepted the fees, resulting in more than 2 million euros in additional revenues in the first year in which this single initiative was implemented in just one country. The various free-to-fee initiatives that the forklift manufacturer adopted after attending our workshop collectively led to millions of euros in added revenues. The place to start is the foundation: understanding why you might want to move into service and why that might be difficult. Next, consider the culture that supports successful service enterprises and whether your company is ready to go. Then you’ll be ready to think about the resources and capabilities that are required, how to lead the change, and finally achieve successful implementation. 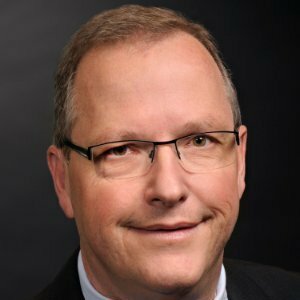 Wolfgang Ulaga is the AT&T Professor of Services Leadership and Co-Executive Director at the Center for Services Leadership at the W. P. Carey School of Business at Arizona State University. He is a globally recognized thought leader on B2B service strategy development and implementation. Over the past twenty-two years, he has worked with B2B firms in diverse industries around the globe on capturing value and designing and implementing service-growth strategies. His work has been published in leading journals, including Harvard Business Review, the Journal of Marketing, and the Journal of the Academy of Marketing Science. He has received numerous awards and recognitions for excellence in teaching and research, including a honorary doctorate from Turku School of Economics in Finland for his pioneering, high-quality research on customer value and servitization strategies in the field of business-to-business marketing. 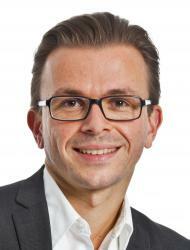 Christian Kowalkowski is associate professor of industrial marketing affiliated with the Institute of Technology at Linköping University in Sweden and Hanken School of Economics in Finland. He has rapidly established himself as a leading authority in the field of B2B service strategy research. For over a decade, through research, consulting, and educational activities about service strategy and implementation, he has worked with market-leading multinationals in various product industries. His research has been published in over 40 articles and presented at academic and industry conferences in Europe, North America, Asia, and Australia.